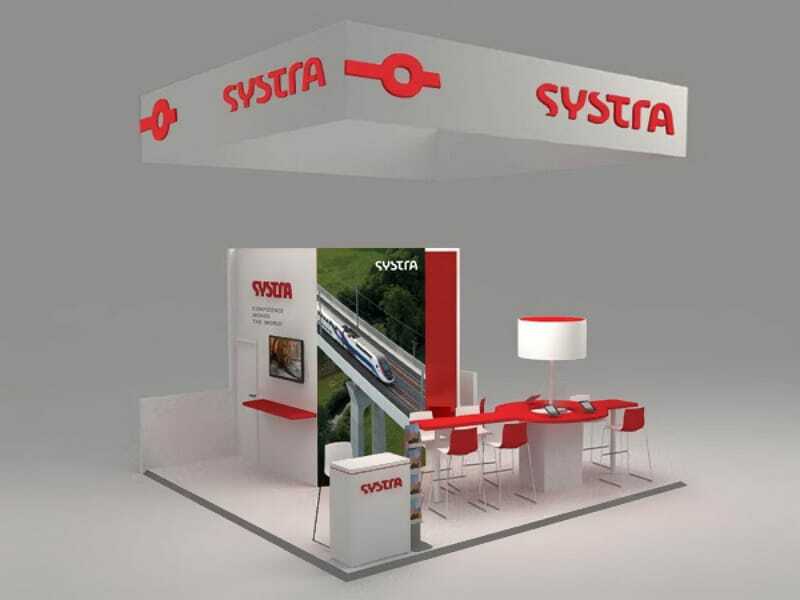 This Trade Show Ideas section showcases some our clients use of small and larger displays whether at trade shows, retail and indoor locations or outdoor events. We are grateful for the opportunity to learn from and work everyday with a great variety of talented customers: small and medium-size businesses, not-for-profits, churches, universities, institutions, government agencies, foreign-based companies and global brands. 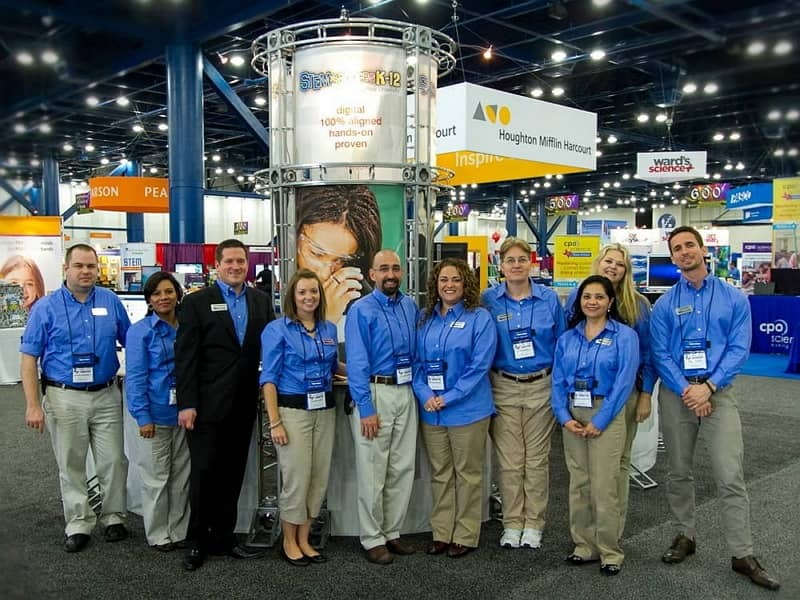 20′ x 20′ Custom Tension Fabric Exhibit for Senseonics. 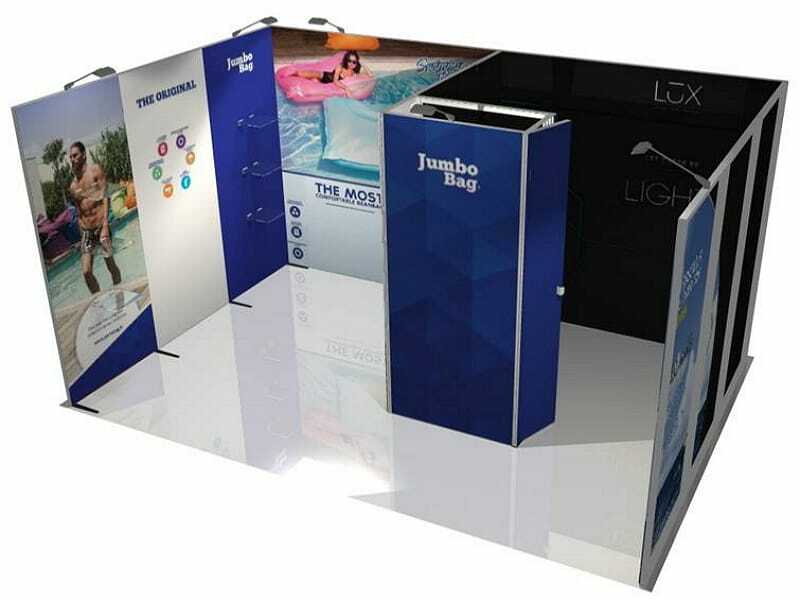 The booth is made of tubular aluminum frame and full color printed fabric pillow case style with zippers. 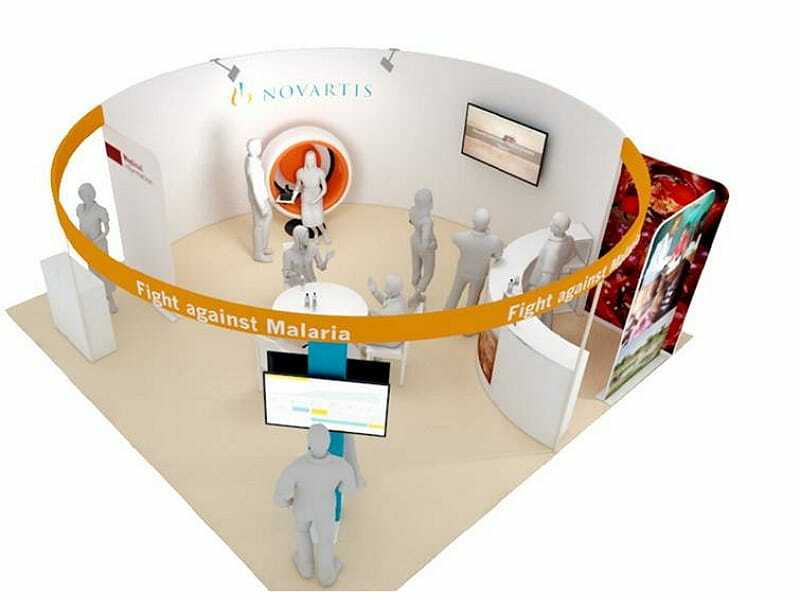 The trade show idea is based on a Demo Theater Area with large screen and 3 individual demo stations. 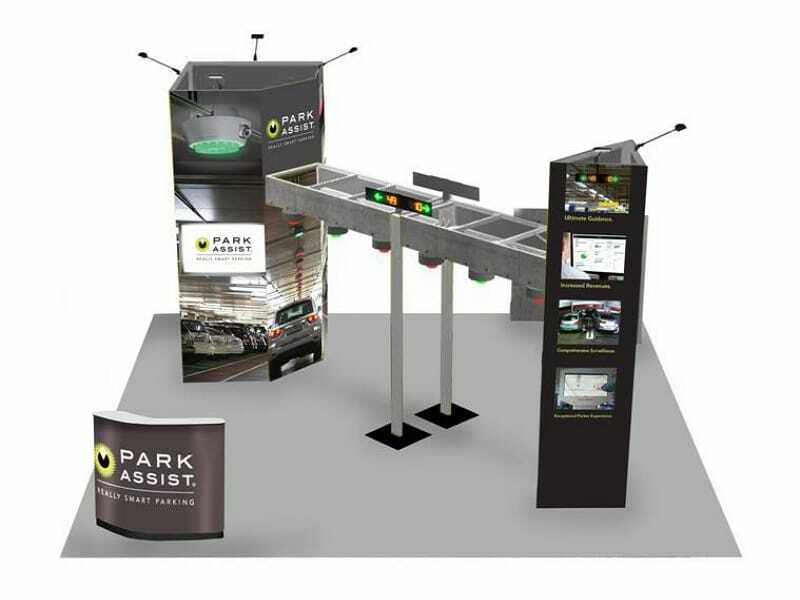 Park Assist is the pioneer of digital imaging sensor networks for parking with groundbreaking camera systems providing innovative features to parking guidance. 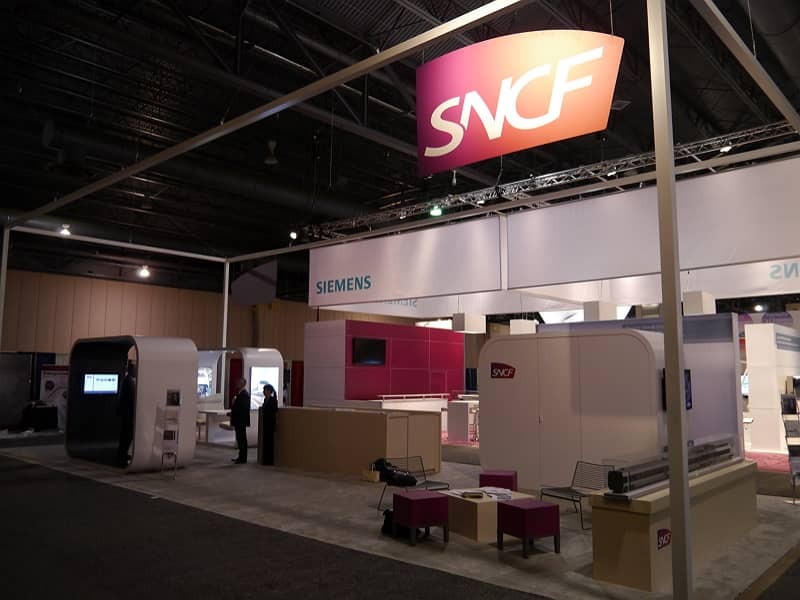 This custom exhibit was designed with the Panoramic Extrusion system that accepts stunning SEG fabric panels (Silicon-Edge Graphics). 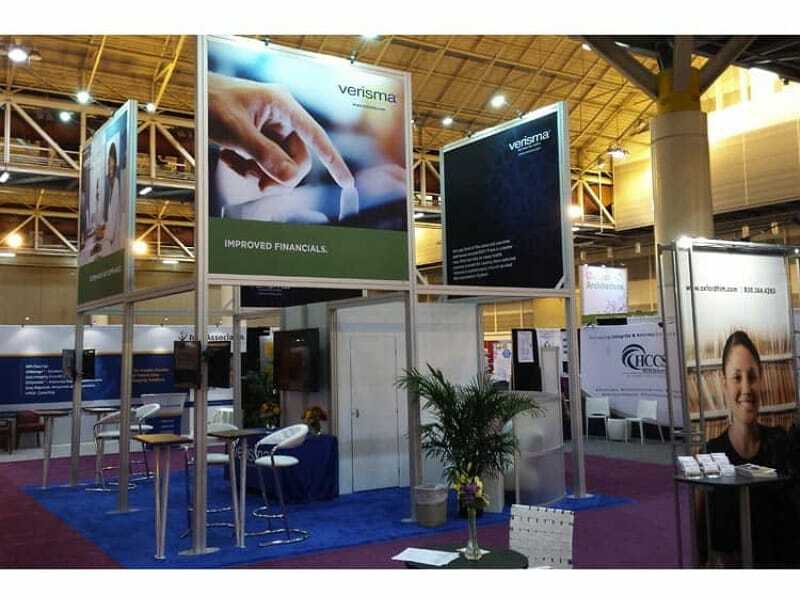 We teamed up with D.C. area PR experts, “Gaia Group” for the rental of a 20’x20’ Modular exhibit for client Verisma, a health information technology provider focused on delivering Release of Information (ROI) solutions to organizations across the country. 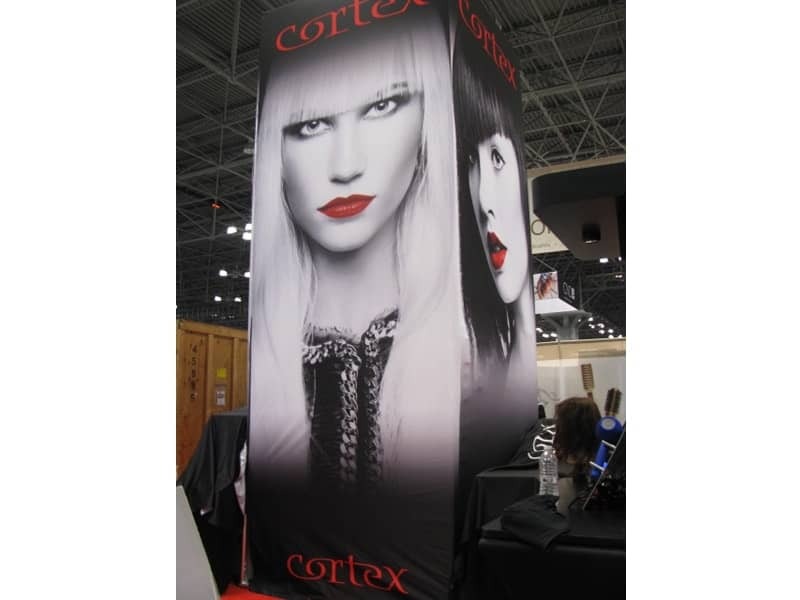 16′ x 20′ Custom Tension Fabric Exhibit for 360 Solutions. 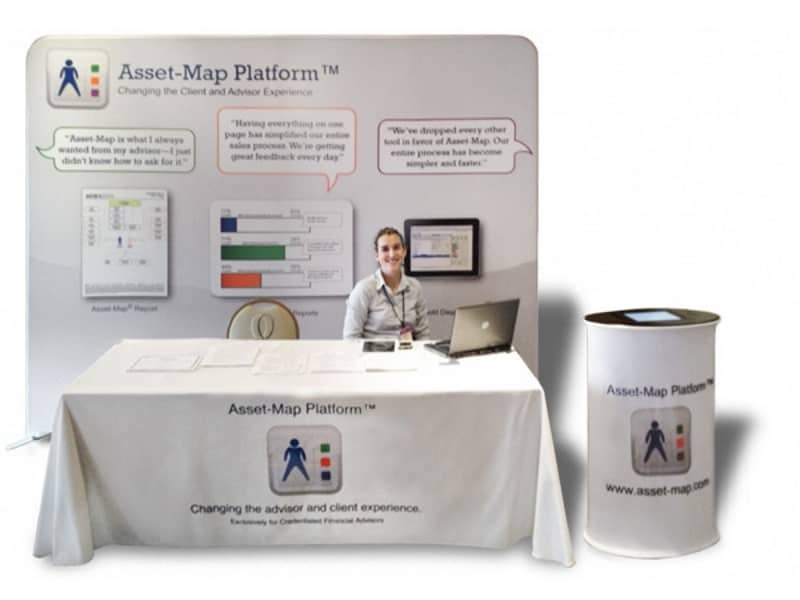 It’s a 16′ high free-standing wall with two pillars and a conference screen area used for support and covered in 2-sided full color print graphics. 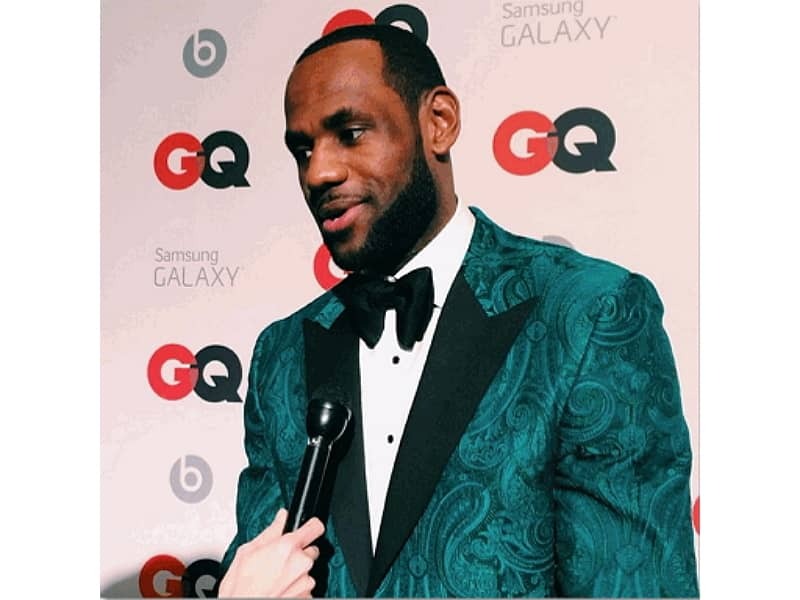 Graphics are made from a stretchy tension fabric with pillow case style with zippers. 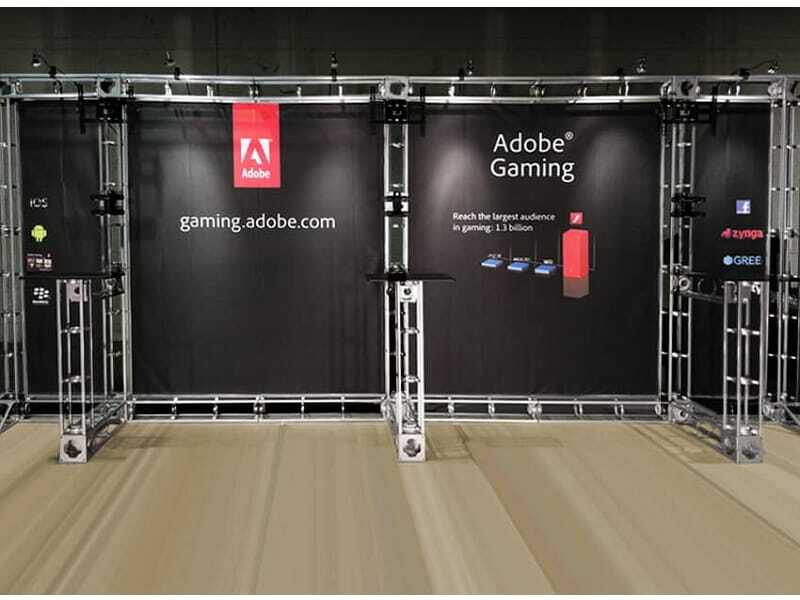 Adobe Gaming approached Airborne Visuals to find an exhibit solution for the promotion of their software to game developers. 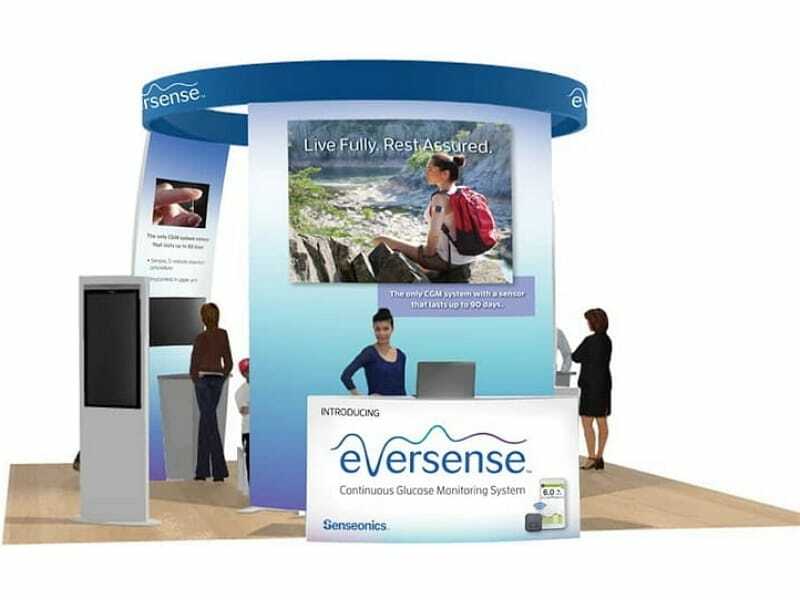 The challenge was to find an economical, modern-looking, easy to set up trade show booth sturdy enough to display two rows of monitor screens. 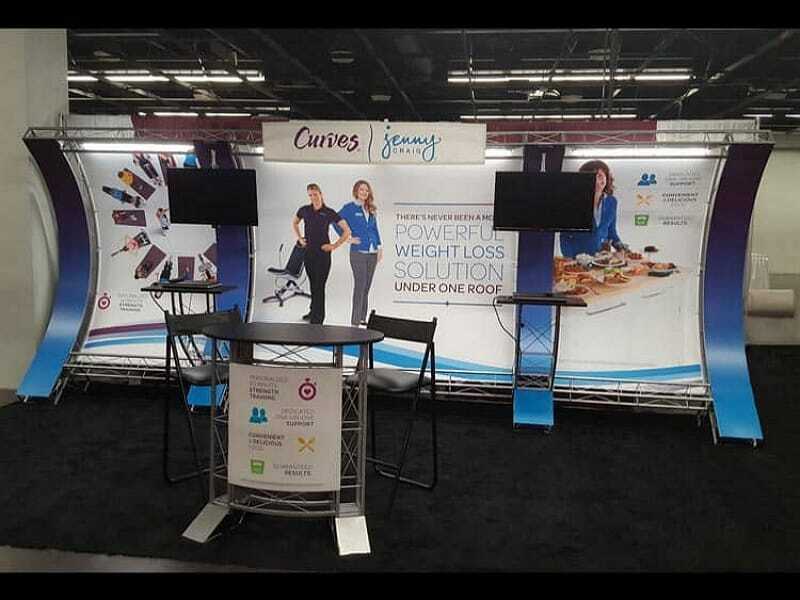 Jenny Craig, a weight loss, weight management, and nutrition company was looking for a complete 10’x20′ turnkey Rental TRUSS Exhibit solution for the 2015 West Coast Expo held at the Anaheim Convention Center. Our California crew shipped, assembled and dismantled the truss system with custom graphic panels as well as carpeting, TV monitors and furniture. 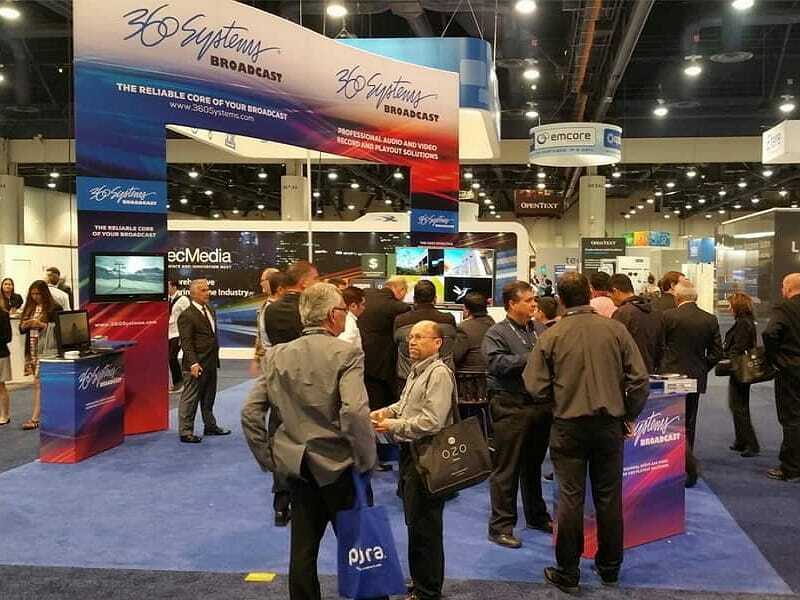 Headquartered in Belgium, Euresys was looking for an exhibit booth for its California, USA branch. 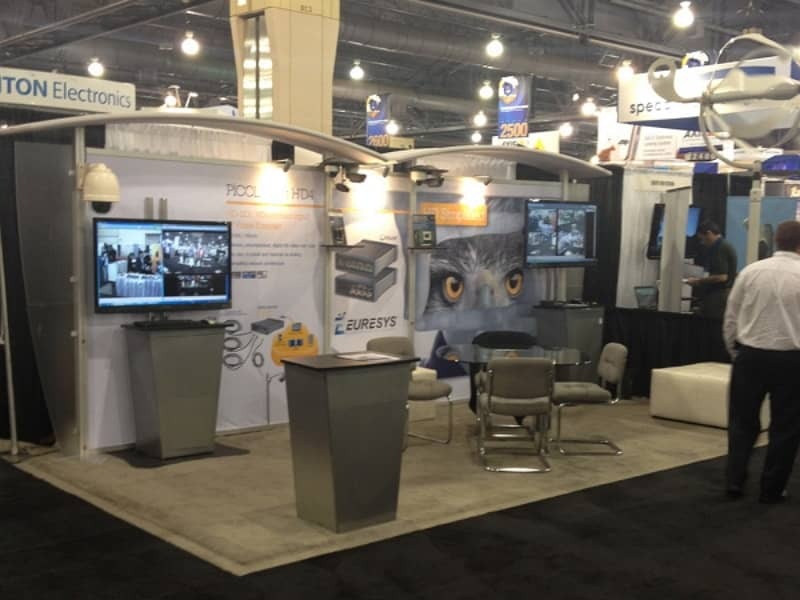 Specializing in video surveillance and security, they wanted a system allowing their cameras to be mounted onto the frame, as well as one with the ability to grow with the company. 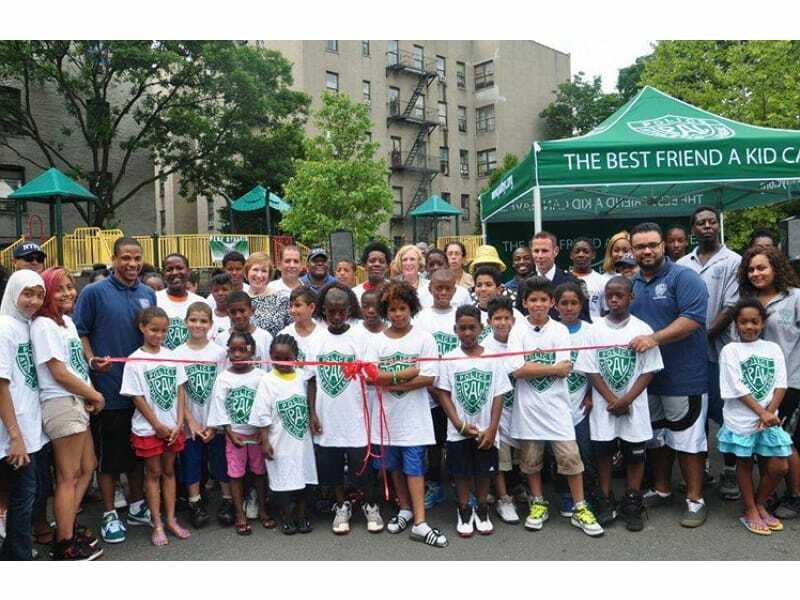 July marks the kickoff of the New York City Police Athletic League’s PLAYSTREETS program, which provides the kids of NYC a safe opportunity to play and learn outdoors. 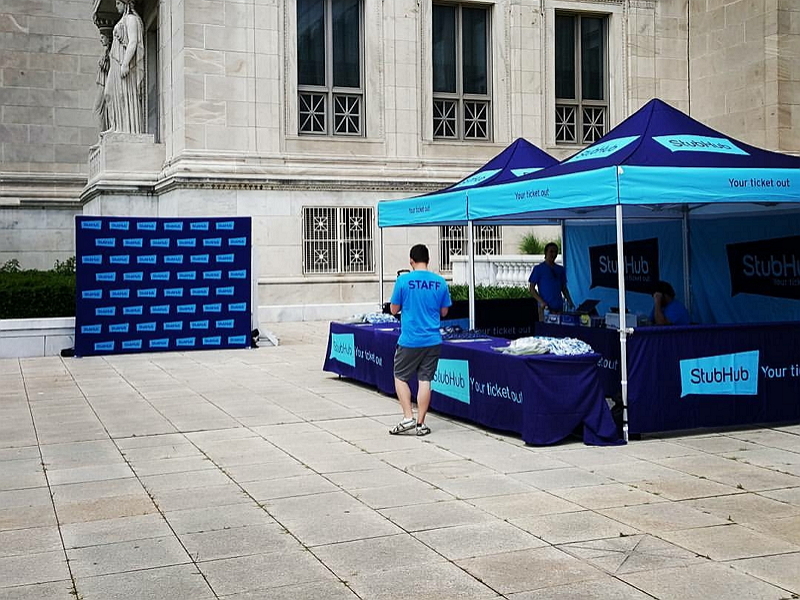 Our client, StubHub, a satisfied owner of multiple V3 outdoor canopy tents, provides support to the charity and connected us to the PAL, facilitating the procurement of these displays. 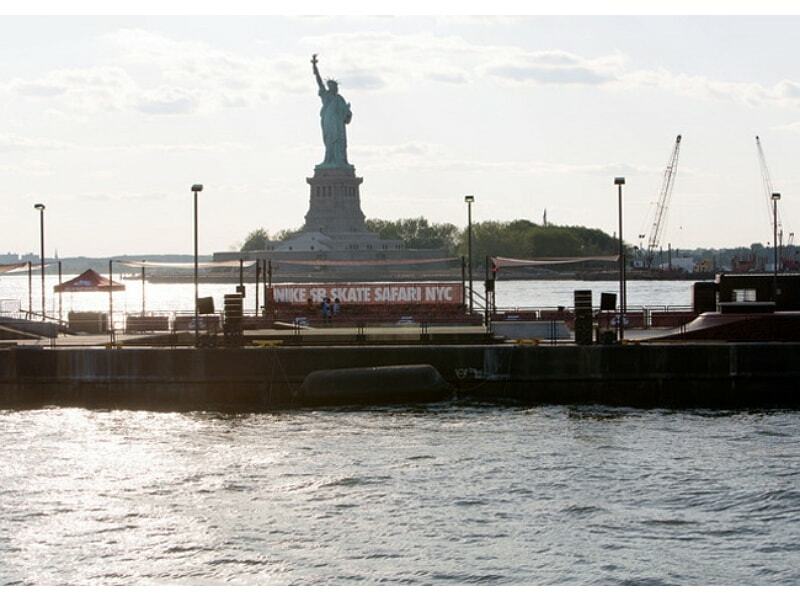 Nike SB used our premium tents and teardrop banners to celebrate Go Skateboarding Day on a barge converted to a skate park and moored in sight of the Brooklyn Bridge in New York City. Read more about the Go Skateboarding Day celebration (and see more pictures of the NYC event) at inhabitat.com or watch video of the event on YouTube.